A lot of you are probably familiar with this recipe, but I had to share it because they are one of my favorite treats for the holidays. I make them every year for Thanksgiving and to give away at Christmas. If you’ve never tried them before you’d better watch out because they’re really addicting! Here’s the recipe. 2. Lay pretzels out in a single layer on a cookie sheet. 3. Place one candy in the middle of each pretzel. 5. Place one pecan half on top of melted candy. 6. Place in refrigerator until hardened. Lay pretzels out in a single layer on a cookie sheet. Place one candy in the middle of each pretzel. I need to go and get some Rolos. Yum! What a great and simple idea. Thanks for sharing! Yum! Someone made these for us last year. Now I can do it too!!! These look awesome. I think I am going to add these to my list of goodies to bake for friends. Thanks for sharing. 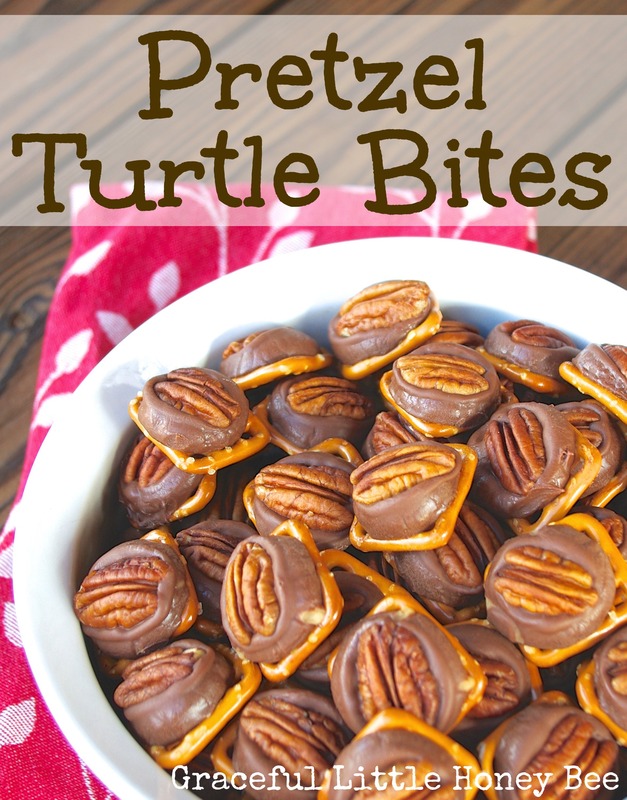 These are delicious and so easy to make! Thank you!